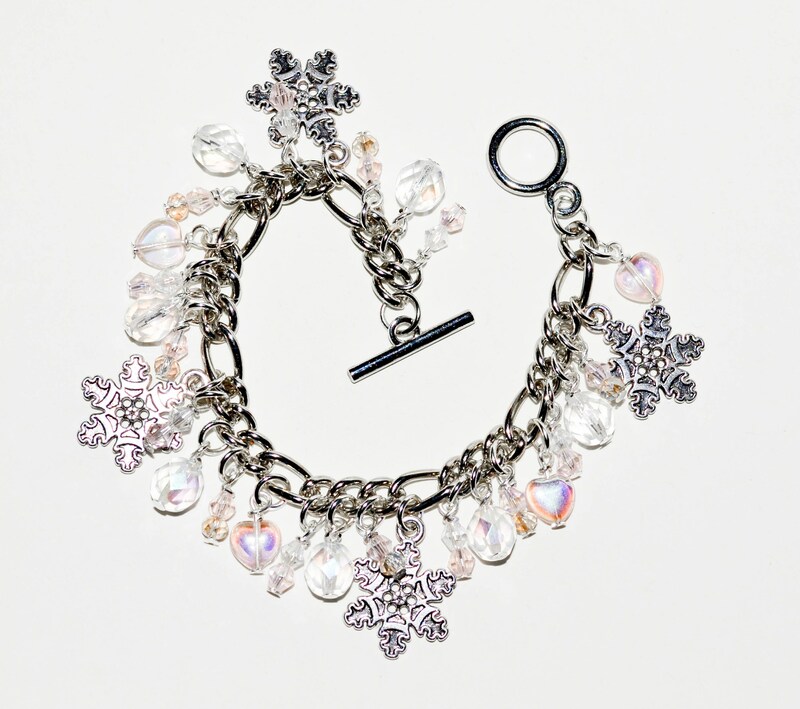 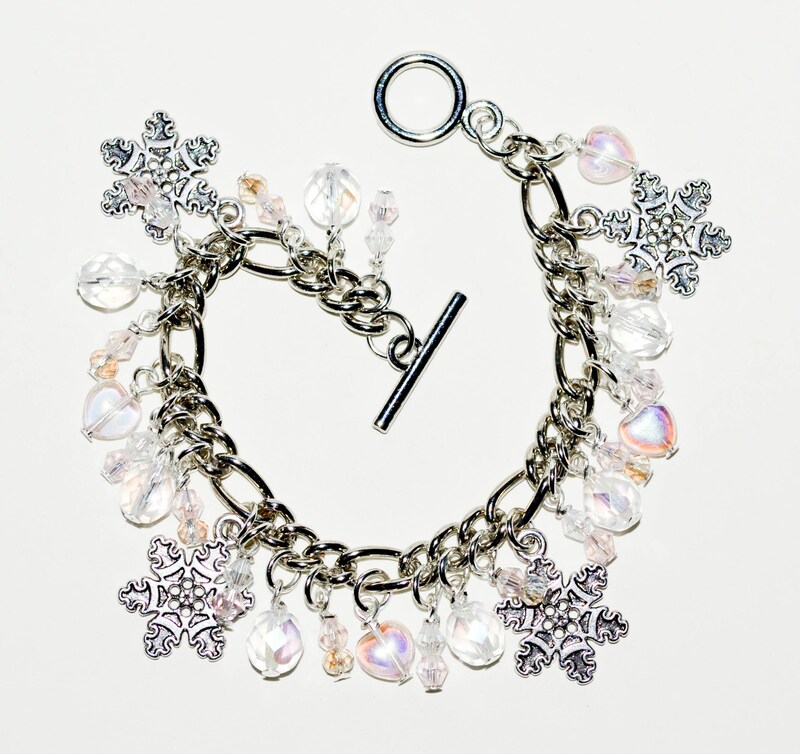 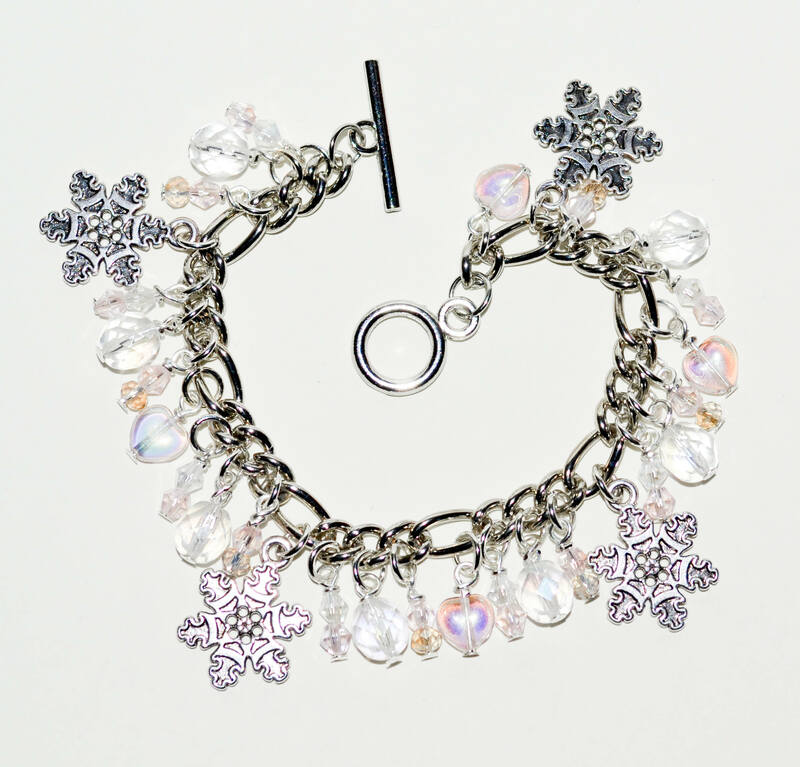 This gorgeous charm bracelet is perfect for those pretty winter days (and nights). 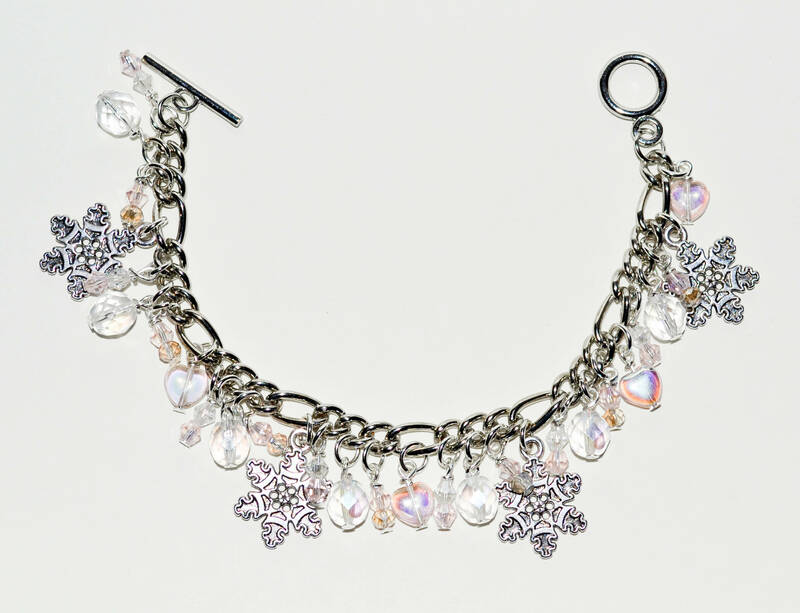 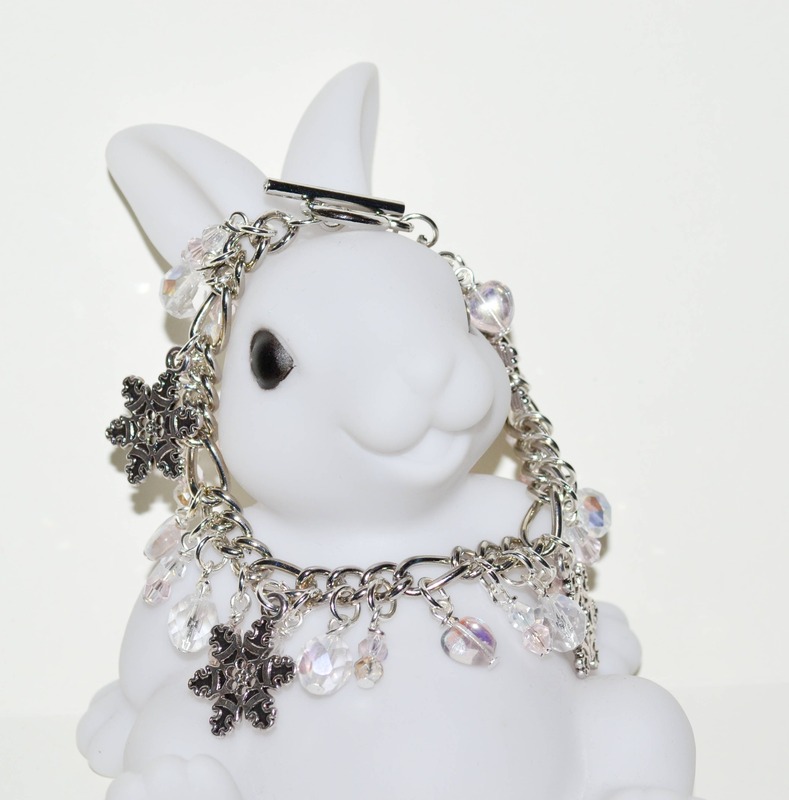 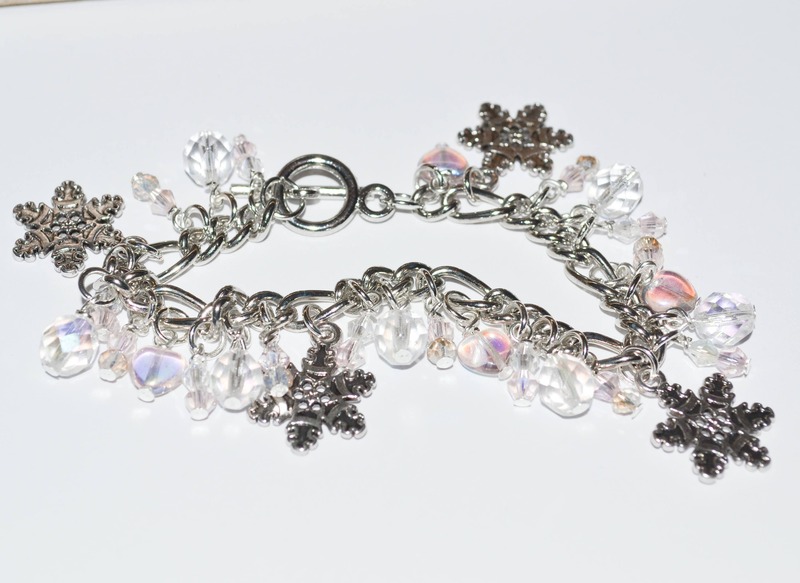 It features four silver plated snowflake charms, together with individually wrapped Czech crystal heart beads, sparkling crystals and bicone beads. 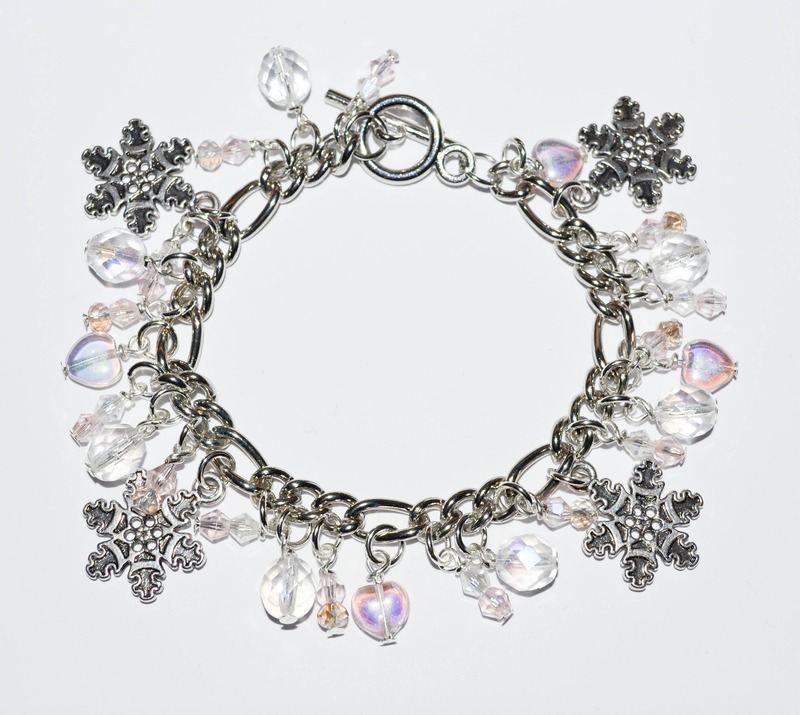 The bracelet is approximately 8"/20cm and fastens with a toggle clasp. 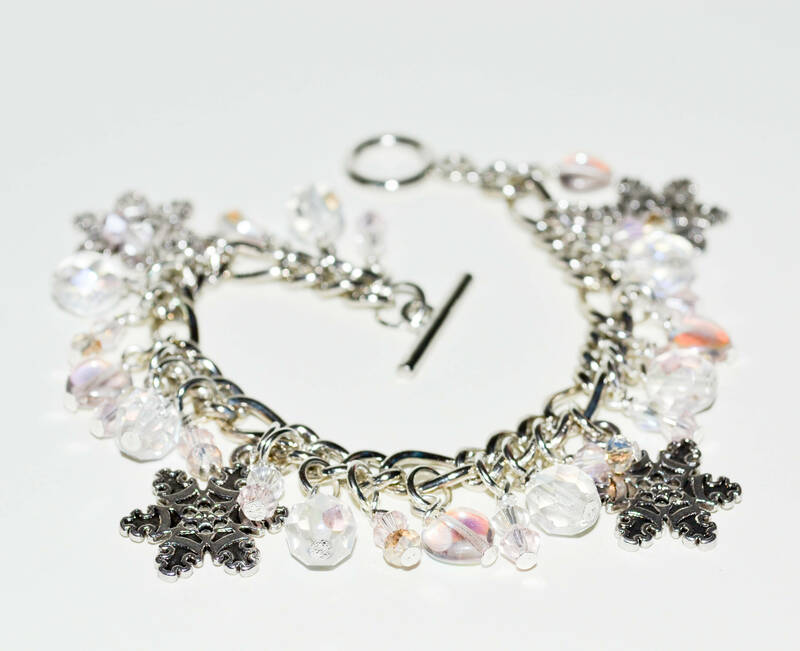 Your bracelet will be prettily packaged and securely wrapped, or you can add a gift box if you prefer, just select from the drop down menu.